The Command™ Large Canvas Hanger Holds canvases up to 45cm x 60cm and weighing up to 1.3kg, on a variety of surfaces including painted plasterboard, tiles, wood and more. 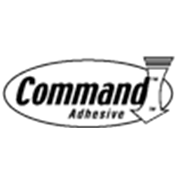 Features Command™ Adhesive Strips which come off cleanly. 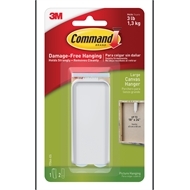 Contains one large hanger and two large strips.